After the events of the Marvel Civil War, Natasha Romanoff went into exile. 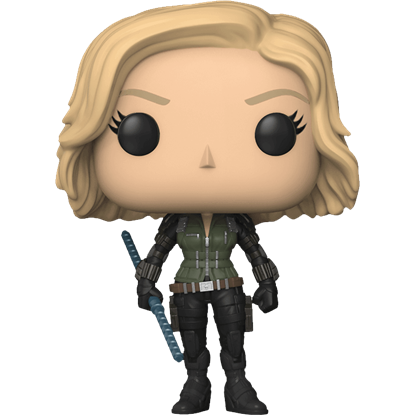 As the supervillain Thanos descends on Earth, she returns just in time to fight him, with a new look to boot, as the Infinity War Black Widow POP Figure depicts. After breaking his comrades out of the Raft, Captain America has been on the run, resurfacing just in time to fight the galactic conqueror Thanos. 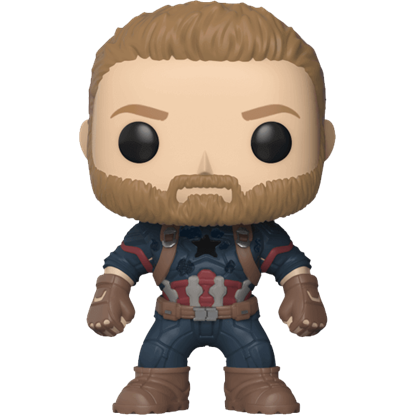 The Infinity War Captain America POP Figure depicts the battle-worn hero in all his glory. As Earth's mightiest heroes prepare for battle with the mad titan Thanos, they will need a little help from the Guardians of the Galaxy. 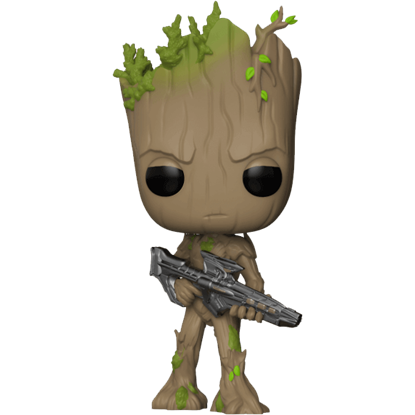 The Infinity War Groot POP Figure depicts everyones favorite Guardian in adorable detail. In order to defeat an all-powerful conqueror from space, Iron Man may need to break out the suit formerly reserved for a particular green rage machine. The Infinity War Hulkbuster 6-Inch POP Figure is more than a match for a titan! 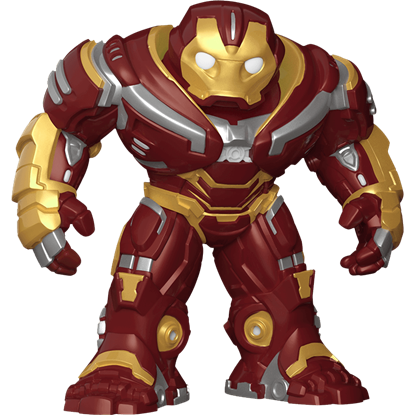 The Hulkbuster armor was designed by Tony Stark to fend off the Hulk should he ever lose control. 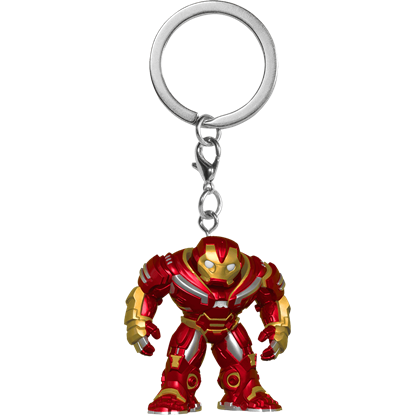 The Infinity War Hulkbuster POP Keychain will do the same for you, saving you from going Hulk every morning by making your keys easy to find! 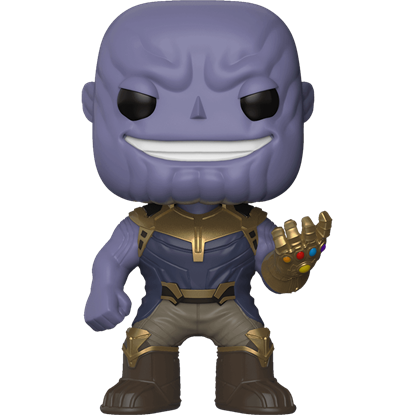 Everything the Avengers have been preparing for comes to a head in Infinity War as the mad titan Thanos descends on Earth. 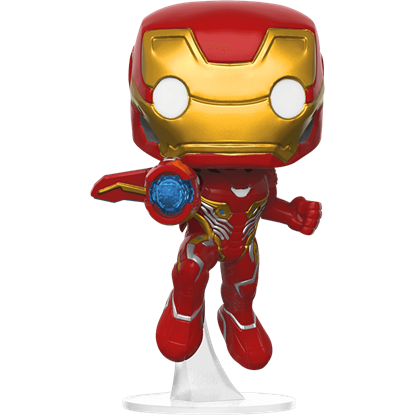 The Infinity War Iron Man POP Figure depicts the first hero to enter the MCU dressed in his most recent suit of armor. Iron Man has given the specialized spider suit back to Peter Parker, and just in time, as the Avengers will need his help to keep the supervillain Thanos at bay. 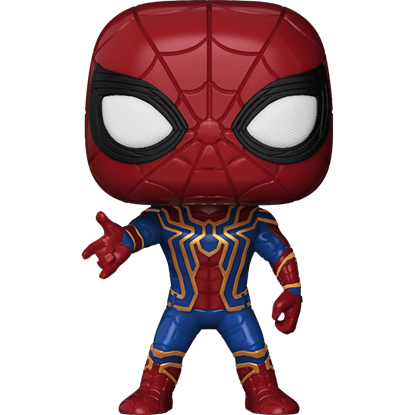 The Infinity War Iron Spider POP Figure depicts the hero in his new ensemble. After the events of Ragnarok, the god of thunder returns to Earth battle-hardened and ready to take on the mad titan Thanos. 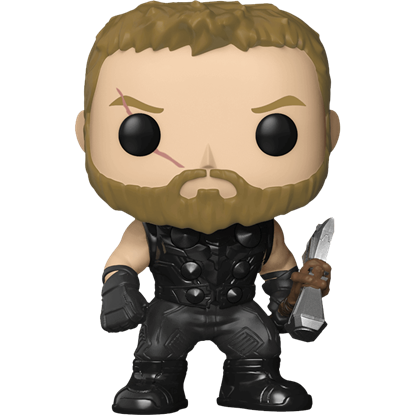 The Infinity War Thor POP Figure depicts this weary space-faring gladiator in his new, toughened ensemble.